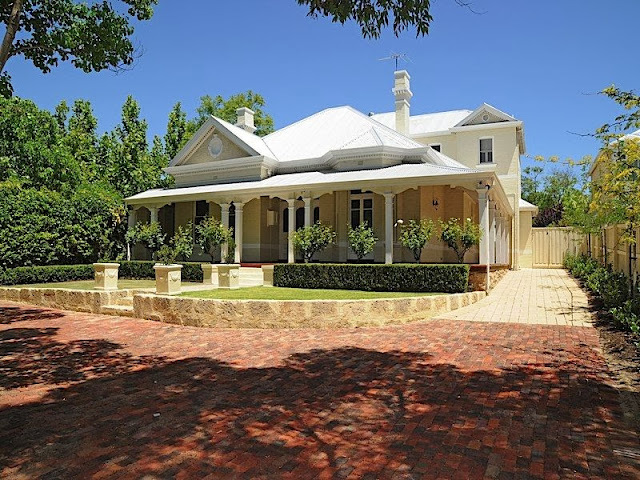 Peppermint Grove is one of the State of Western Australia’s most beautiful suburbs, known for its large character homes set in tranquil tree lined streets. 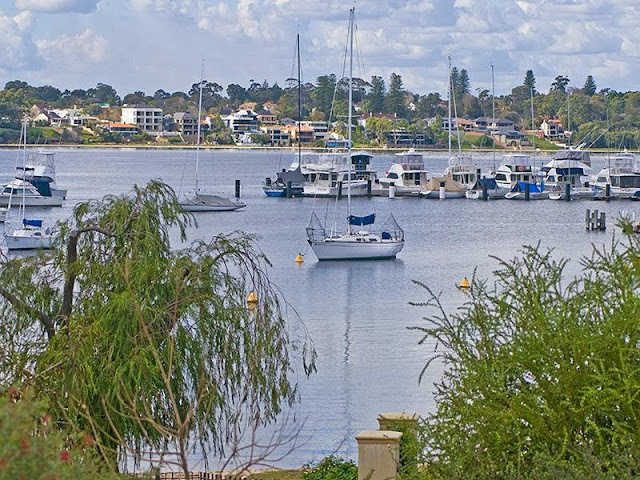 The area embraces the Swan river and foreshore parks for recreation, and is serviced by a major shopping complex and an extensive range of retail and trade services. 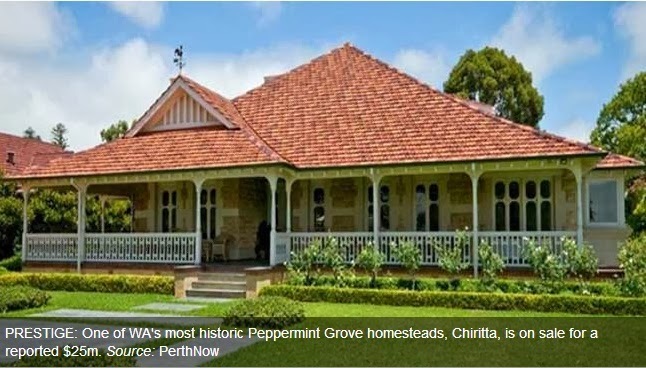 The Shire of Peppermint Groveis a small local government area in western metropolitan Perth, the capital of Western Australia, between Mosman Park and Claremont about 12 km southwest of Perth’s central business district. The Shire of Peppermint Grove, at 1.1 square kilometres (0.42 sq mi), is the smallest local government area in Australia. 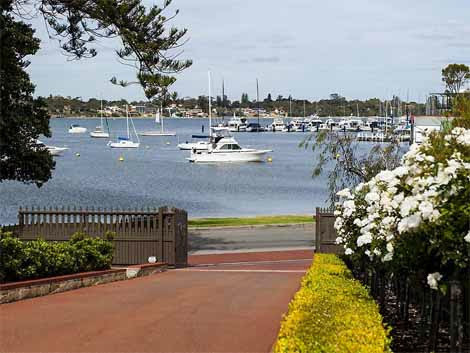 Peppermint Grove is situated between Stirling Highwayon the west and the Swan River at Freshwater Bay to the east. It spans six blocks, with its main streets named after the first post-subdivision residents of the suburb – McNeil, Forrest, Leake, Irvine, Keane, Johnston and Venn. At the ABS 2011 census, Peppermint Grove had a high-income, mostly white population of 1,529 people living in 581 dwellings. The ABS noted that 69% of the suburb’s workforce were managers or professionals. 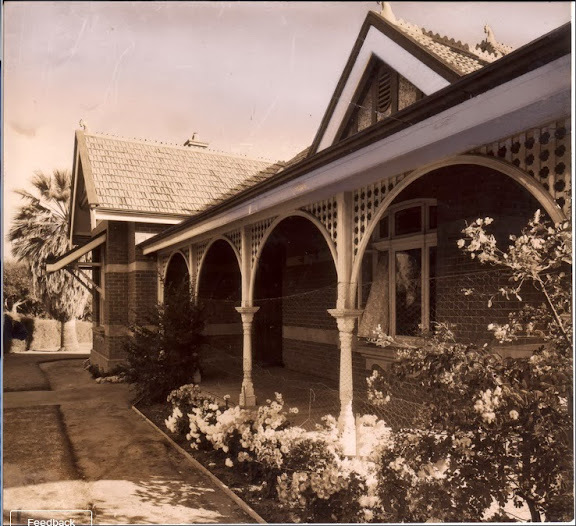 Its long history goes back to 1835 when an innkeeper named John Butler was given a grant of land consisting of 150 acres along the north bank of the Swan River, the area now known as Peppermint Grove. The land changed hands a number of times over the years, and in 1891, subdivision commenced when the land was purchased by a syndicate of George Leake, Charles Crossland and Alexander Forrest. In its earlier days, Peppermint Grove was thickly wooded with tuarts, jarrahs, red gum, banksia, native pines, hollies and the beautiful peppermint trees which inspired its name. Brumbies roamed in the area, along with native cats, wallabies and an abundance of birds. The subdivisions sold fast for between 7 and 12 pounds each (around $15 – $25) – an amount which is hard to comprehend today when vacant lots are selling for approximately up $3500 per square metre. One of the earliest settlers was Edward Keane who later became Mayor of Perth. Another influential landowner was John Forrest, later to be Lord Forrest, Premier of Western Australia. 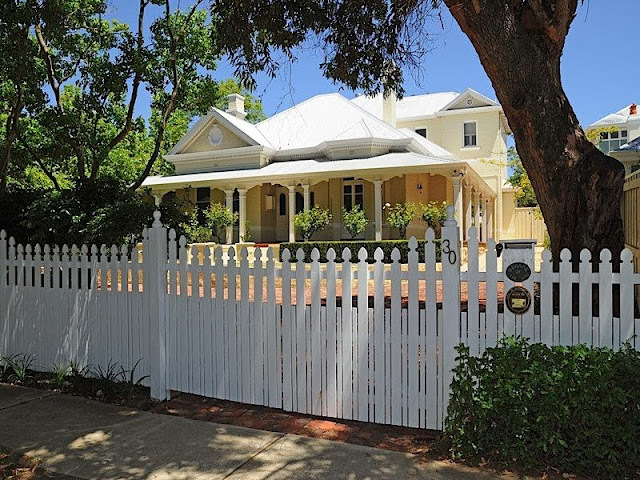 The Cliffe is a rare example of the use of a weatherboard in a substantial ‘gentleman’s’ residence in Perth which has, intact, the subsidiary buildings of coachhouse, stables, summerhouse, servants cottages, and part of the original gardens. expansive single-storey timber residence (20 rooms). 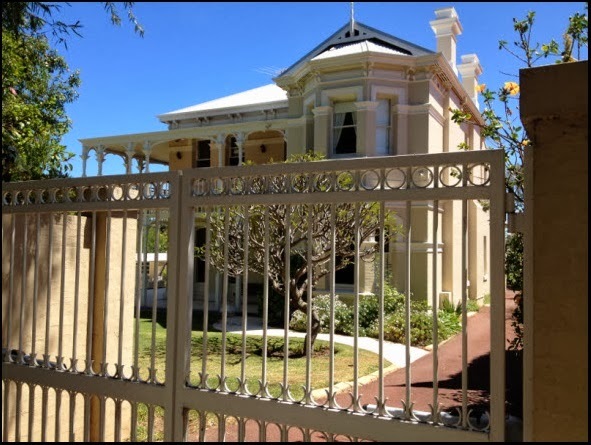 It has historical associations with the prominent McNeil and Brisbane families (owners) and with J. Talbot Hobbs (architect). The Cliffe was one of the first houses built in Peppermint Grove, and has a close association with the subsequent subdivision of McNeil Street and the development of the suburb. 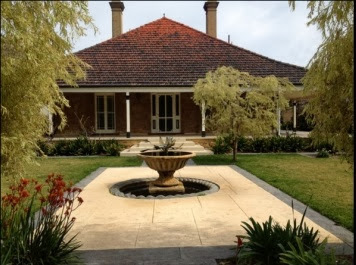 Setting: Large mature grounds, set well back from both street frontages. 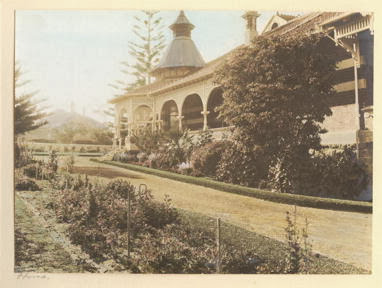 The property (now on 1,630sqm of land) was constructed in 1894. 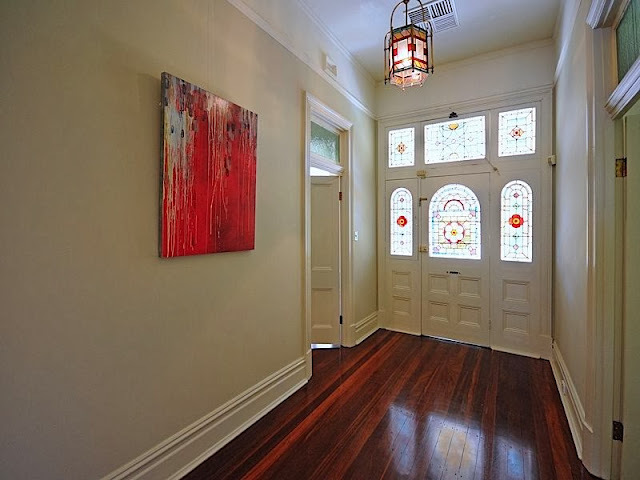 The substantive additions to the dwelling, undertaken in 1899 were designed by prominent Western Australian architect J. Talbot Hobbs and the dwelling has historical associations with the prominent McNeil, Brisbane and McComb families. 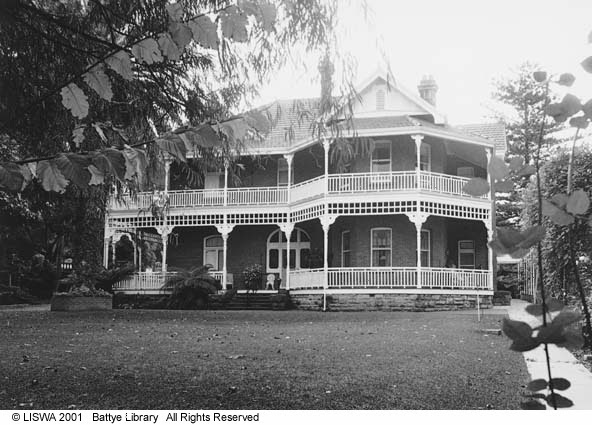 The dwelling is registered on the Shire of Peppermint Grove’s Municipal Inventory and with the National Trust on 6 March 1984, the Register of the National Estate on 30 June 1992, and the State Register of Heritage Places (original interim listing on 10 October 1995 and permanent listing on 27 February 2004). 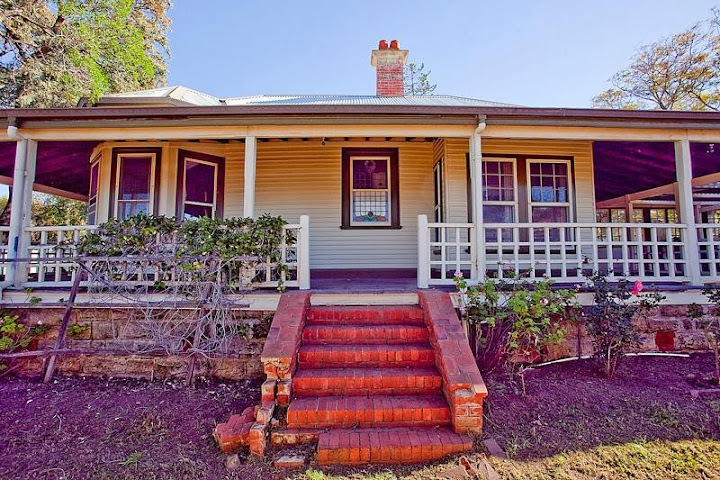 The timber frame and weather board dwelling at 25 Bindaring Parade, ‘The Cliffe’, was constructed in circa 1898 by N McNeil and was subsequently owned by the Brisbane family. It was last sold in 1990’s to the current owner, M Creasy. 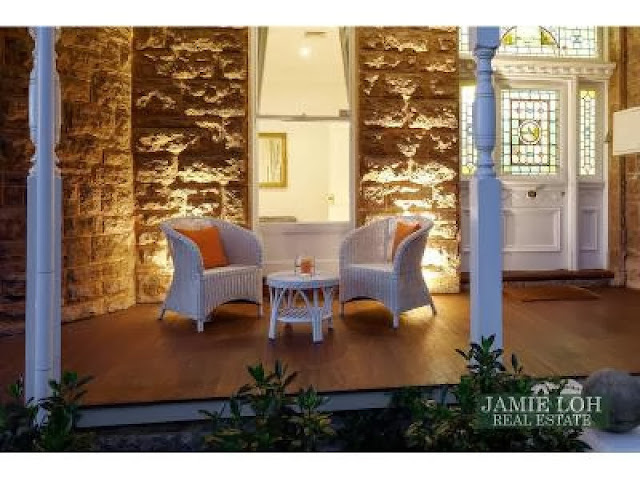 The Cliffe is one of the most significant places of its period in Western Australia with exceptional historic, aesthetic, technical and social significance. The Cliffe remains a rarity of a mansion constructed almost wholly in timber, in the form of a large bungalow. The Cliffe demonstrates the skilled use of the several architectural lexicons of the day. It is an exemplar of its time because of the high level of authenticity. 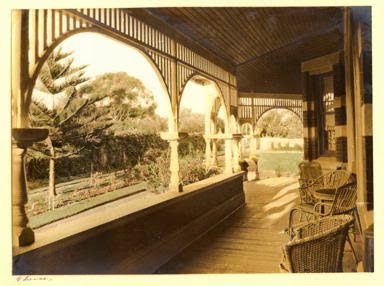 The Cliffe was a focus for Perth and Peppermint Grove society during the first quarter of this century. The history of the McNeil holding reflects the suburb’s social development. 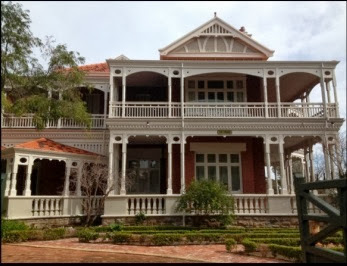 In February 2004 ‘The Cliffe’ was entered onto the WA Register of Heritage Places on a permanent basis under the provisions of the Heritage of Western Australia Act 1990. From the substantial foundation to the shingle roof every part of the structure is of jarrah, and after nearly twenty years – the house having been built in 1894 – every plank and beam and joist remain in as sound condition as when first they were cut to the contractor’s design. 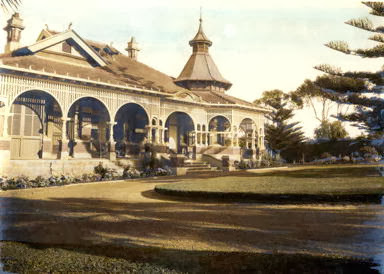 Over twenty rooms are roofed beneath these jarrah shingles, and the interior is fitted up with all that art and comfort can suggest, while surrounding the house is a park of ten acres, tastefully laid out with lawns and flower-beds, and further beautified by the introduction of decorative statuary in bronze, collected by Mr McNeil on various trips to England and the Continent. 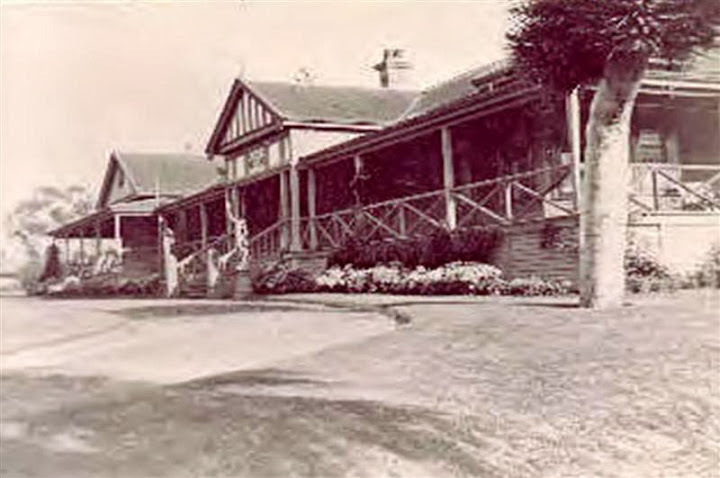 The original owner of The Cliffe was Neil McNeil, who purchased the land in 1892 – only one year after Peppermint Grove was surveyed into building allotments. McNeil was one of the owners of the Jarrahdale Timber Company which exported timber for the paving of London Streets at the turn of the century. 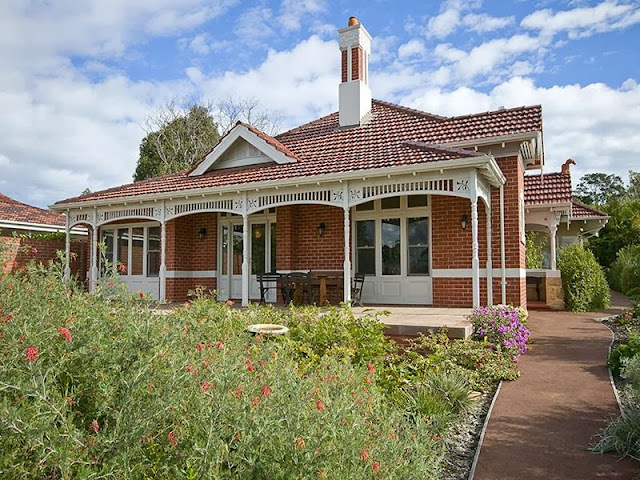 Because of his strong business interest in timber and his conviction of its suitability as a building material, McNeil built his home as a showpiece of jarrah construction. Unfortunately, McNeil’s vision of majestic timber houses, rather than houses constructed of brick and stone, was not shared by the Peppermint Grove Road Boardwhich later legislated against timber construction in the area. 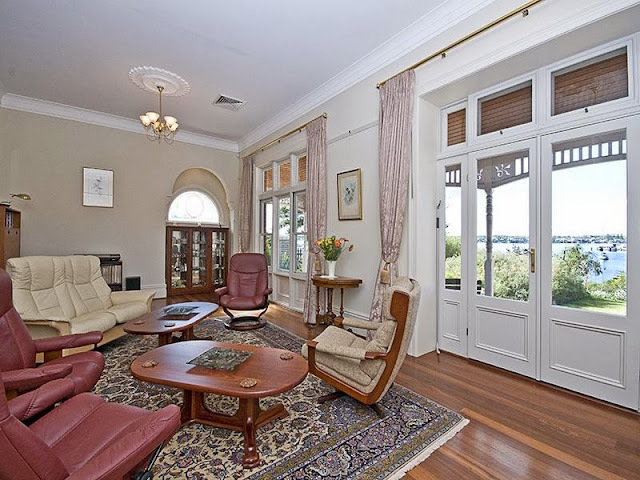 The property was sold in 1927, following McNeil’s death, to Lance Brisbane, a prominent West Australian industrialist. 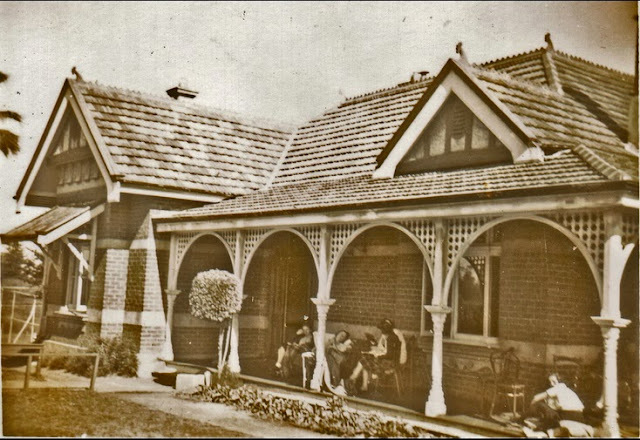 When Lance Brisbane moved in 1933, Brisbane’s brother, David Brisbane, and his family, occupied The Cliffe until his death in 1960. “Between 1978 and 1981, the Triffids recorded six collections of original songs at The Cliffe. The house remained a sanctuary and source of inspiration throughout their career. Its peculiar location, an eyrie on Devil’s Elbow overlooking Freshwater Bay, gave David a startling perspective as well as a beautiful view. The house: St Just sits on 3035sqm on the highest point in Peppermint Grove. The home has five bedrooms, a reception hall and upstairs hall, plus a self-contained guest cottage and ornate gardens. History: Built in 1904 for Richard Strelitz, of the Strelitz Brothers trading family, who prospered during the 1890s gold boom. St Just, c. 1980 – 44 View St, Peppermint Grove. In 1910 Richard Strelitz and his wife Bessie built and settled into St Just on the corner of View and Keane Streets; their home was lavishly furnished as noted by The Sunday Times on the 10th of March 1918. 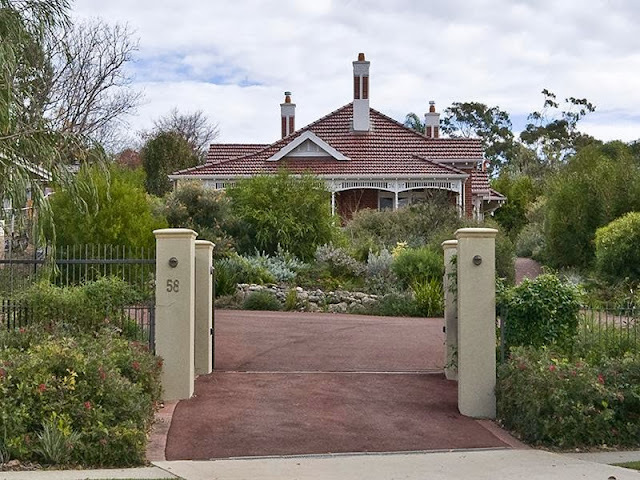 The driveway was often lined with the cars and motor cycles, and Richard – a motoring enthusiast himself – was closely involved with the formation of a motoring organisation in Western Australia (now the Royal Automobile Club). 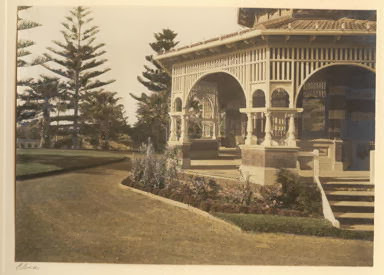 In 1919 the house was sold to William Grant Forrest – better known as Doy Forrest, son of Alexander Forrest and it remained in the Forrest family until 1943. Sociable and generous hosts, the Forrests became famous for their luncheon, dinner, bridge and mah-jong parties that were frequently mentioned in the social pages of local newspapers. 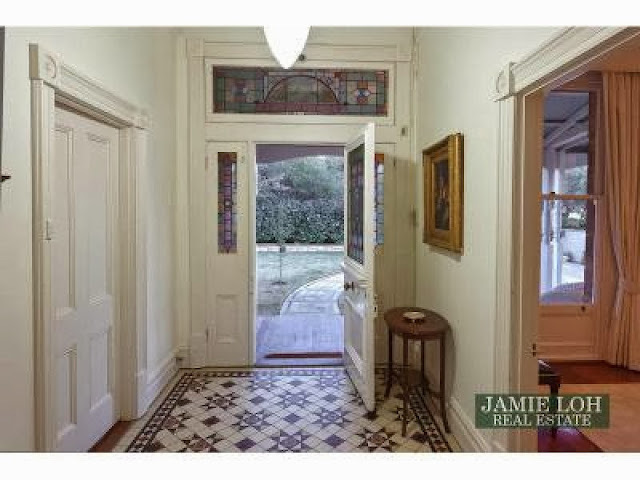 The West Australian reported how: St Just is an example of a Federation Queen Anne style home; built with six bedrooms, a ballroom and a single storey detached two bedroom groom or gardeners cottage in the south western corner of the site. Owners past and present have maintained the integrity of this property which stands today to remind us of times past. Owners: Andrew Fraser of Patersons Securities and his family bought St Just in 2007 for $9million. 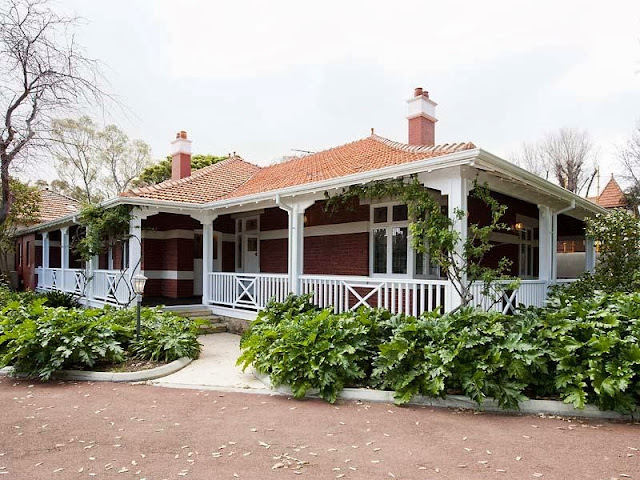 2009: Stockbroker Andrew Frazer and his wife Lisa, daughter of barrister Malcolm McCusker, sold their historic Peppermint Grove home in View Street, known as St Just, about two weeks ago for $10.7 million, reportedly to the family of property developer Tony Lennon. They originally wanted $16 million. Estimated value: Perth top end agent Willie Porteous, who sold the house, says the value has probably doubled in 12 months because of Perth’s booming, resource-led luxury market. In 1890 William Francis Sayer came to Western Australia from London as a legal adviser to the Midland Railway Company. He rose to become in turn Commissioner of Titles, Attorney General and Crown Solicitor, before holding the position of Solicitor General from 1905 to 1930. During these years Sayer acquired five acres of land, and around 1892 built Bleak House – considered to be the first permanent residence erected in Peppermint Grove. Sayer was close to his sister Ada Dobbs and her daughter Ella Lesley. His wedding present to his niece was a block of land on the opposite corner of Keane Street. The land was later sold to Richard Stelitz who built St Just on it. After Sayer‘s marriage to Florence Dungey in 1908, Bleak House was occupied by his sister Ada and during the 1920s her daughter Ella Lesley lived there with her second husband Mervyn Davies. Sayer himself lived in Cottesloe and later Mundaring until his death in 1943. Despite additions to the house and loss of the original shingle roof over time, the original limestone home at 48 View Street can still be recognised today. 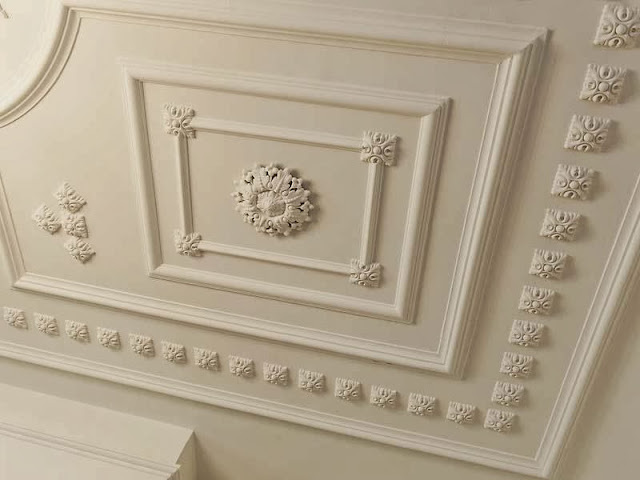 It is significant as an example of the Late Colonial building style, rather than the later Federation or Gold Boom style. 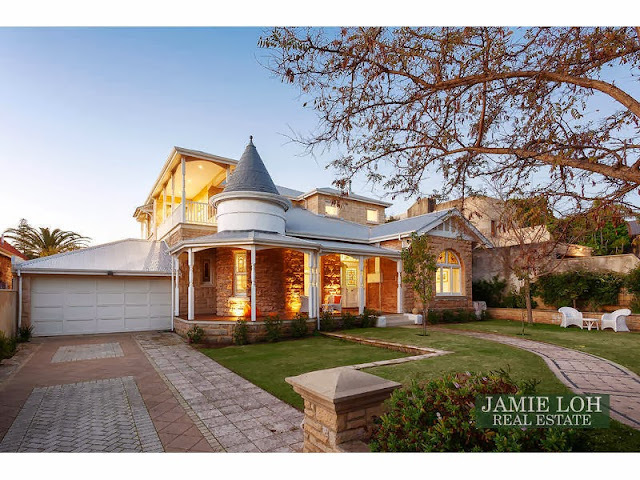 This handsome two storey home at 29 Irvine Street, was originally the site of Cottesloe High School, a private secondary school for girls, affectionately known as ‘Miss Annie’s’. 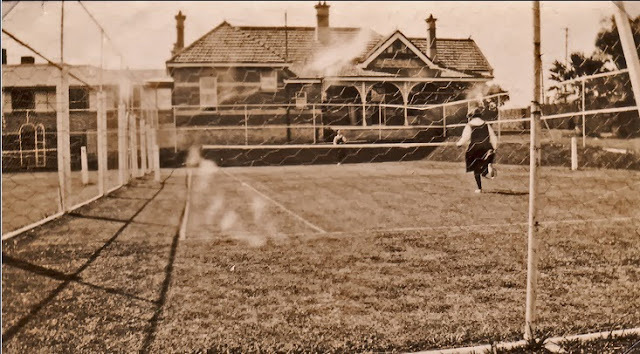 The rapidly increasing population of Cottesloe as a residential suburb meant there was a need for a ‘high class’ school and in October 1897 misses Annie and Jane Nisbet opened a boarding school for girls and boys at ‘Avonmore’, in Broome Street Cottesloe. At the same time tenders were called for the erection of a school house in Irvine Street. 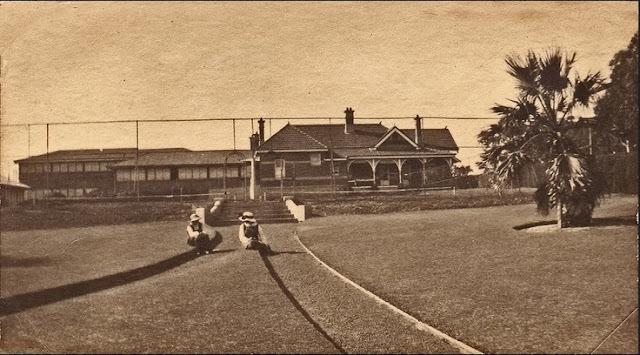 And in February 1900 the Cottesloe High School opened its doors to 52 pupils. 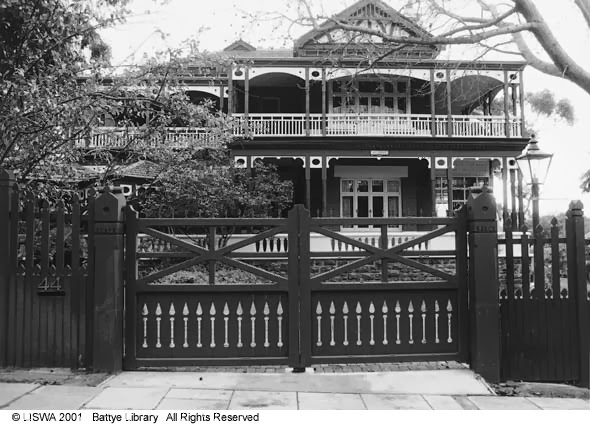 A boarding house named Balgownie, with 12 rooms and two bathrooms and ‘open air dormitories’ was later opened on the adjacent block. Numbers grew rapidly and academic excellence, music and physical education were all emphasised. Within a short time the boys (accepted as pupils up to the age of ten) had a cricket club and the building of a tennis ground for the girls was underway. The Daily News, of the 16th of November 1926, reported on the sports held on the lawns: The afternoon commenced with the ever-rousing song, John Peel followed by simultaneous games upon the adjoining courts – an exciting basketball game on the hard court and tennis doubles upon the grass court….The flag race proved exciting, and the amusing contest ‘Two dogs and a bone’ drew forth much laughter. Everything seemed to breathe of freshness and youth. There were the ringing girlish laughter, youthful games, lovely bright hued flowers in the well-kept garden and the obvious enjoyment of the guests. 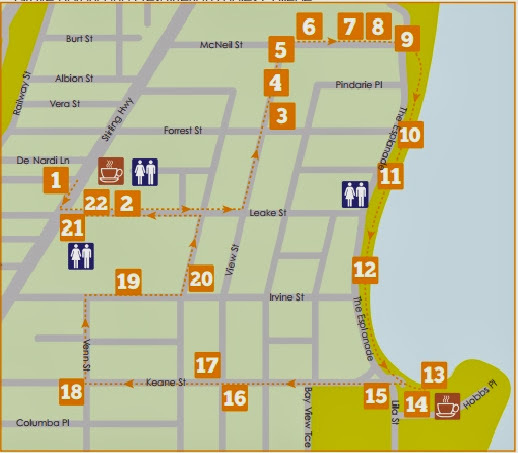 After establishing PLC in North Perth, Council started looking for permanent locations. 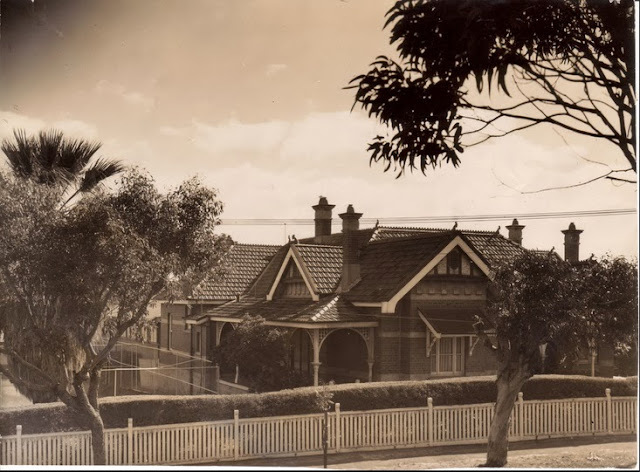 After considering sites in Mount Lawley and Claremont, on 4 April 1917 Council purchased Mr William Lefroy’s property (now Scorgie House) on the corner of View and McNeil Streets, Peppermint Grove for £3500. The house had been used as a school for several years. 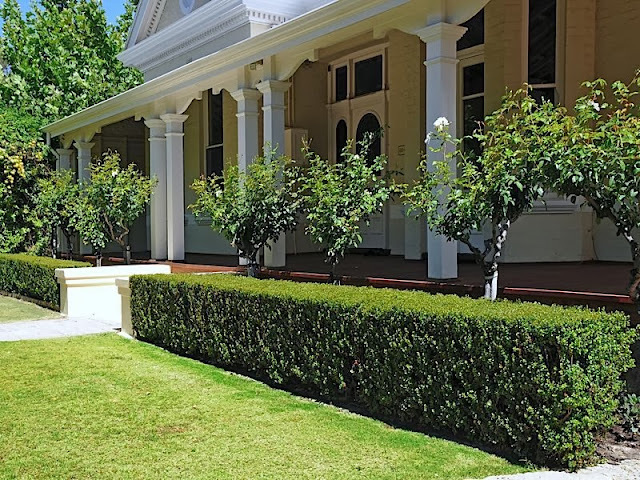 Many thousands of Western Australian girls have been educated at Presbyterian Ladies’ College. Classes began in North Perth in 1916 but the following year the School Council purchased W.G. Lefroy’s property on the corner of View and McNeil Streets. It was seen as a picturesque and healthy site. Scorgie House – named after Agnes Dalziel Scorgie, first Principal of the School, was originally built as the residence for landowner and pastoralist William Lefroy. From 1915-17 it was let to a Miss Ethel Simson who ran a school, known as Queen’s School. It retained its educational association when it was sold to Presbyterian Ladies’ College in 1917 and is today the school’s administrative hub. See also Chiritta, Peppermint Grove W.A. 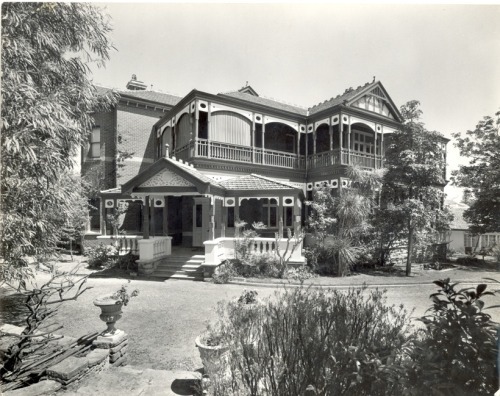 Chiritta, an 1896 to 1899-built seven-bedroom house on 4080 square metres was sold by the founders of Channel 9 Perth, Ann and Denis Cullity. Mr Satterley confirmed the sale on Tuesday. He said the purchase represented “fair value at today’s prices”. Mr Satterley is a one-time Levi Jeans salesman who used his commissions to start buying land. He now operates Satterley Property Group, which has major holdings in WA and Victoria and specialises in master-planned developments. 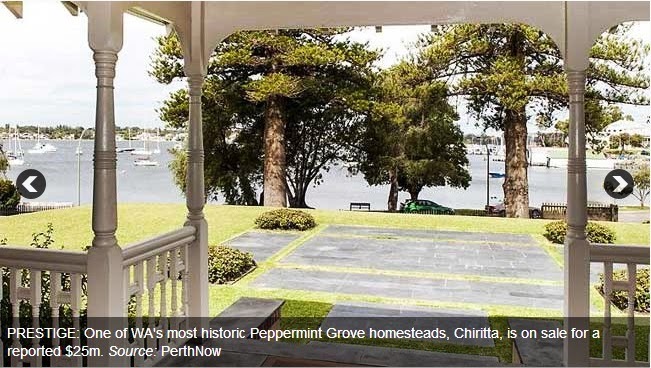 It is the blue-chip location of Peppermint Grove on the edge of the Swan River which could make it one of the most expensive houses in Perth’s history. What a location! Elevated Northerly river panorama over Freshwater Bay Yacht Club and City as a backdrop. First Time Offered for sale in more than 50 years! 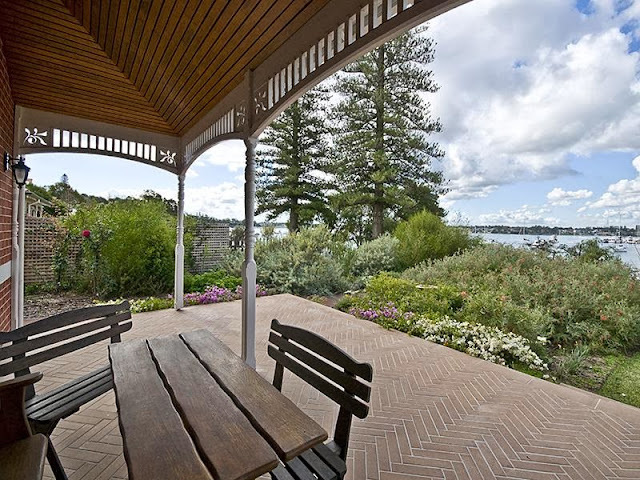 2,276sqm of land located at Western Australia’s Best Address – The Esplanade, Peppermint Grove. A short stroll up a nature path to the front door, then open into a fabulous lounge and dining room with polished boards, ornate ceilings, then french doors to river viewing verandah to take in the river ambience. Long central hallway leads past sensational bedrooms with very high ceilings, then into a new Kitchen, Meals and Family area with the WOW factor. Loft Office above a Double Garage is a real surprise. Harvest your own vegetables year round from your own private vegie plantation. 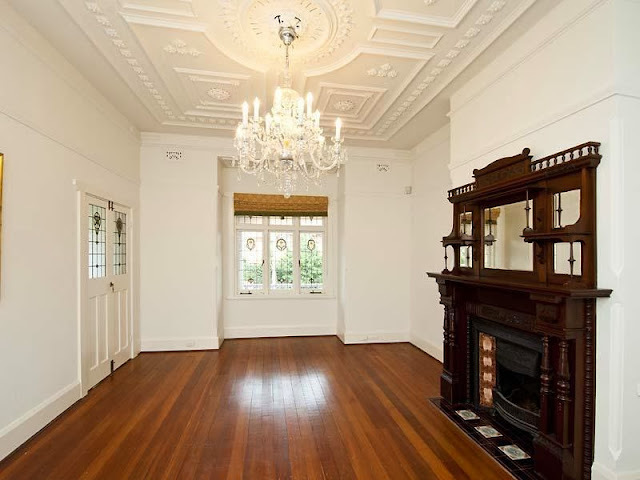 Everything has been restored to the highest possible standard including polished jarrah flooring throughout, stunning lead lights and light fittings, restored fireplaces and silk drapes. Every bedroom has a new en-suite bathroom including the downstairs suite with its wonderfully curved lead light cupola and French windows. 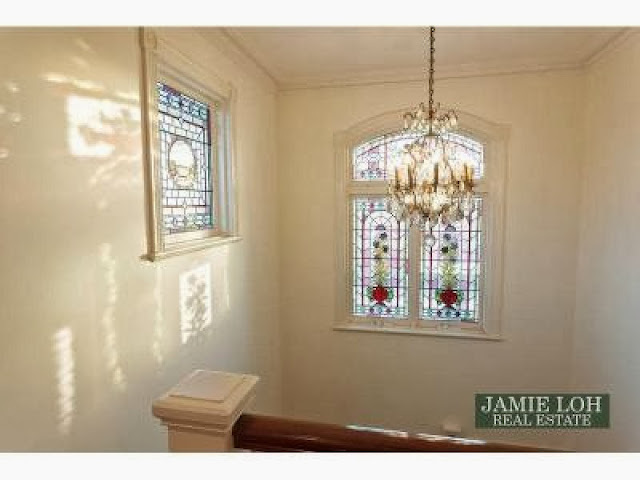 The enormous upstairs master suite features total privacy with French doors and light filled windows from two balconies plus a huge walk in robe. 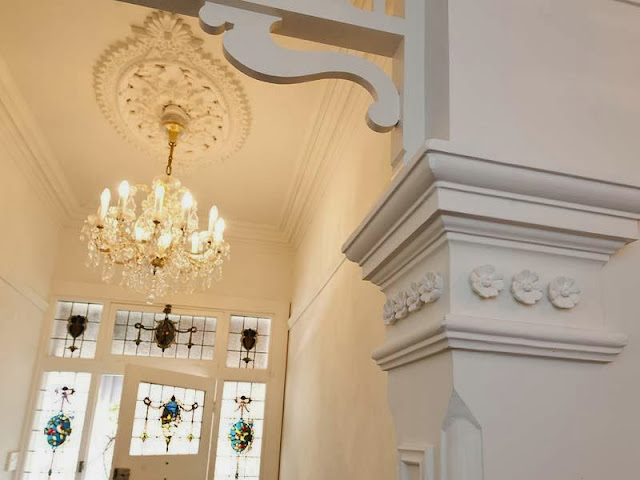 One of the most stately and recognisable homes in the district possessing a timeless sense of style with exceptional proportions in all living spaces thanks to an addition in the early 90’s by Architect Carolyn Marshall. Recently refurbished this 5 bedroom, 3 bathroom home presents faultlessly with garden aspects from all rooms. Between the 4 car garage on the lane, the garden is formal in style which has enjoyed the benefit of a tennis court in the past. Large paved patio and pool combine to provide grand entertaining out from the new kitchen/family and dining. 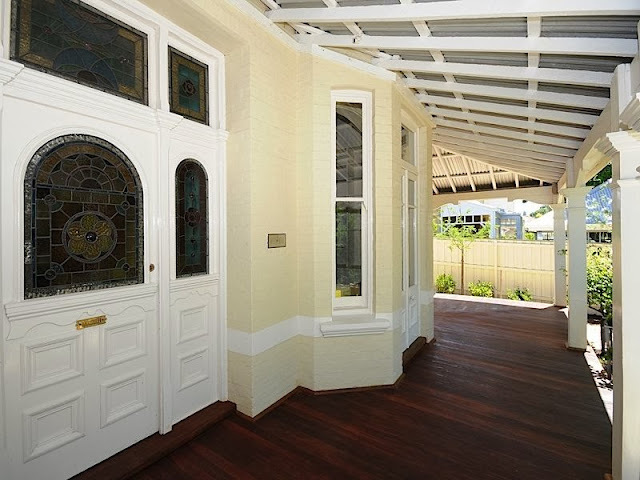 17 McNeil Street is an ideal home, on this huge 30m frontage block comprising 2206sqm . 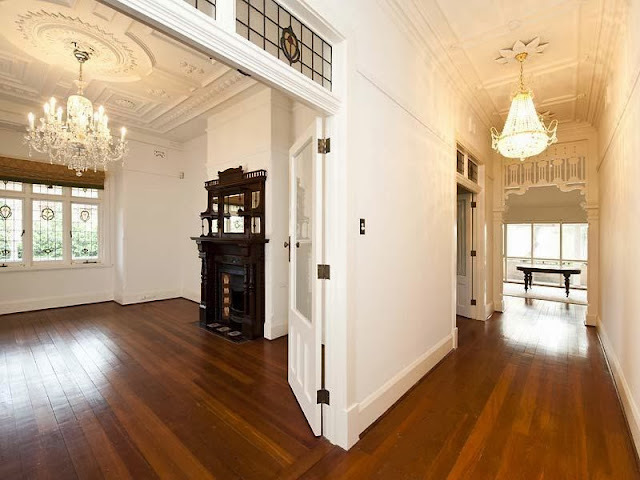 The house features timber floorboards, ornate cornices and ceiling detail, excellent security throughout the property with security gates to the entry of the residence.